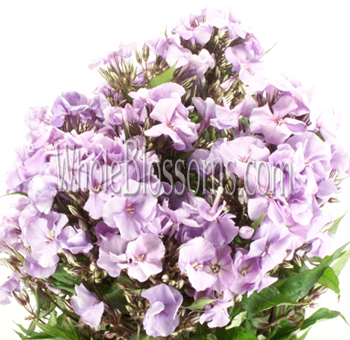 Phlox is considered by most to be the greatest fillers in the flower market. It has little florets with soft petals that will complement any flower arrangement, wedding bouquet, or centerpieces. It has been preferred by florists and brides for wedding flowers due to its beautiful pastel colors and classical look. It comes in white, light pink, lavender, and dark pink shades. Phlox flowers are known for their colorful appearance and captivating scent. They are one of the favorite flowers of gardeners. They are annual flowers which can be the perfect showy flowers. These flowers can grow as high as 6 to 18 inches high. There are many varieties of the flower which are perennial as well. These wildflowers are compact yet beautiful, and the blooms can be good as cut flowers. They are referred to as jewel-like flowers due to their cluster like appearance. The flower comes in many colorful ranges of colors like red, scarlet, white, yellow, and even purple. The flower gets its name from the Greek work, Phlox, which means light or flame. This word also means sweet dreams or even the essence of harmony. The flower belongs to thePolemoniaceae family of plants; it includes many garden and wildflower varieties. These flowers can be star-shaped and wonderfully colored which makes them even more alluring. 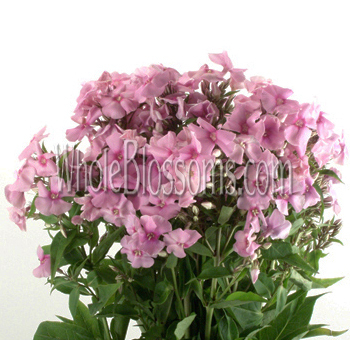 You can get beautiful Phlox for sale from trusted online florists like Whole Blossoms. These flowers come in a variety of shades like pink, purple and even white phlox colors. With around 67 species, the graceful blooms manage to charm a lot of people. Back in the 1880s, these flowers got really popular over their alluring appearance. These flowers stand to symbolize compatibility between two people or the harmony of two souls. They also signify sweet dreams, which comes to be a really sweet gesture. The Creeping Phlox variety can be used as a great addition to floral arrangements. The Wagon Wheel variety is widely popular for its salmon-pink colored blooms, the petals of this flower are similar to the spokes in a wheel. These flowers can also resemble a star with its Sternenzauber variety which is fringed and pointed in appearance. This flower was also called as full pink moon by Native Americans owing to its moss pink nature. It is known to be one of the first spring flowers to bloom. These flowers are perfect with their appealing nature even though they are not that widespread. The flowers are tall and perennial in nature which is famous in the summer season. These flowers can sway anyone with their distinct colors of pink, purple, and even lavender colors. They come to be an excellent choice as cut flowers and can be a great addition to flower decorations. These flowers bloom in large clusters with think stems. The flower heads come from a small tube-like structure. Some Phlox flowers can also be bi-colored in appearance which only adds to their exquisite beauty. This trait certainly makes them a real eye-catching variety of flowers. The garden variety of Phlox is a perennial flower which comes in nearly every spectrum of colors, including rare shades of blue. With the wide range of shades, it can make your selection more daunting through its intoxicating appearances. These flowers are sweet smelling in nature which adds to their beauty, even more, they readily attract butterflies and hummingbirds while they bloom. It’s no doubt that they are considered as the gardener’s favorite when it comes to summer flowers. These flowers can be easily fit into a vase arrangement which can be complemented with flowers like Daisies and Lilies. The flower takes pride in its delightful nature to attract any onlooker. Their vase life is long which makes them an old-fashioned favorite by buyers. With its long bloom season, these flowers can hold their reputation of being a top preference for summer blooms. 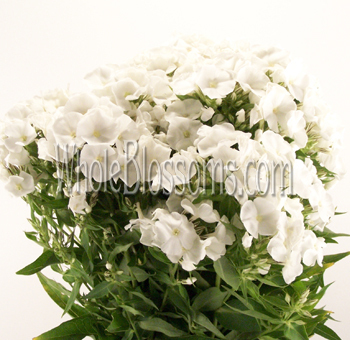 Where to buy phlox flowers with the best quality and price? Get on board to get the best fresh quality of Phlox for sale from the most trusted online florists like Whole Blossoms. These flowers can represent a thoughtful gesture with their appealing nature. With their widespread symbolism of sweet dreams, they can be the perfect choice to celebrate any special occasion. You can surf through a broad variety of pink and purple phlox colors to select from as per your preference. These flowers can also be an excelling option to decorate wedding themes, as they symbolize the unity of two souls. Hence, Phlox flowers can be used to imply the proposal for a good marriage. Choose the most reliable online floral shop to get fresh flowers delivered right to your doorstep at a single click. 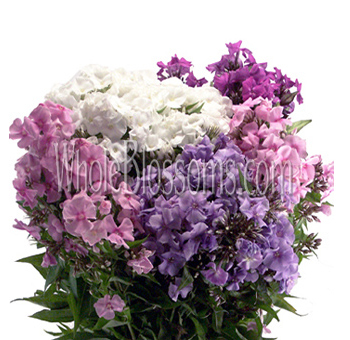 You can easily receive a fully assembled arrangement of bulk Phlox with fast delivery options. These flowers can be suitable for multiple floral arrangements like wedding bouquets and decorations. Come up with creative ideas to add these enchanting flowers with a floral setup to enhance their beauty. The beauty of nature is endless, and Phlox is a primary example of the same. These flowers can surely make everyone swoon over their graceful appearance.